Borovets is the biggest mountain resort in Bulgaria. The 40km of pistes are spread over three sectors, two of which, Markoudjika and Yastrebets, are loosely linked. The third one is Baraki, accessed by several lifts. 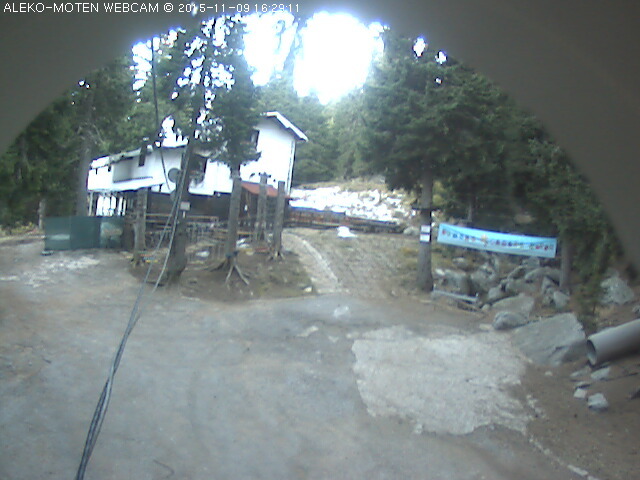 Borovets has reliable snow cover but by no means guaranteed. Borovets suffers from weekend lift lines and a lack of adequate piste-grooming. 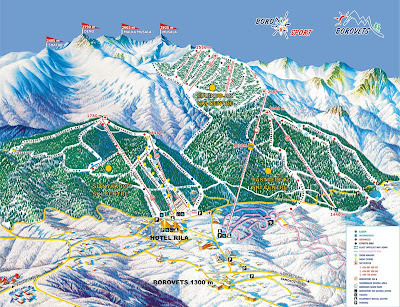 There is 1,323m - 2,540m of altitude at Borovets. Borovetz was developed into a modern ski resort of high class with luxury hotels, restaurants, clubs, shops and of course an excellent network of ski runs and lifts along the slopes of the mountain. Borovetz is a resort of Alpine type and provides excellent opportunities for a whole range of winter sports-Alpine sports, cross-country skiing, ski jumps and biathlon. The resorts has twice hosted World Cup Alpine skiing rounds. Публикувано от Unknown в 22:39 ч.